October 17, 2018 5:15 pm. The Grahame Begg-trained Written By remains on target for the Group One Coolmore Stud Stakes. Blue Diamond winner Written By is on target to complete the spring aspirations of Grahame Begg after leading throughout in the Blue Sapphire Stakes at Caulfield. Begg has been single minded in his bid to win the Group One Coolmore Stud Stakes at Flemington, planning a two-run lead-up. 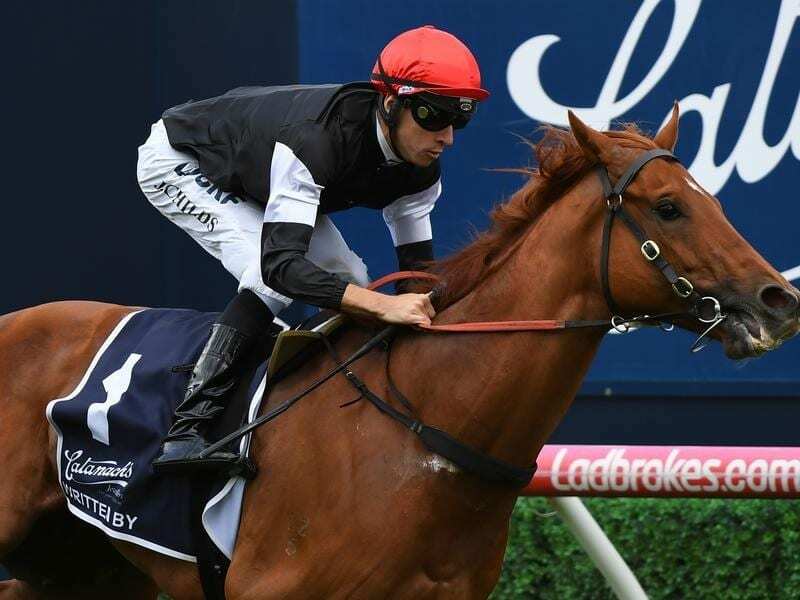 Written By started out winning a 1000m three-year-old race at Caulfield last month before graduating to Wednesday’s Group Three Blue Sapphire Stakes. Against five opponents, Written By, the $1.65 favourite, was able to control the race before scoring a 1-1/4 length win over Encryption ($8) with Tony Nicconi ($11) 2-3/4 lengths away third. Begg is now planning a trip to Flemington for a jump-out on Friday week to give Written By experience on the straight track before the 1200m Coolmore Stud Stakes. “The thought of having the jump-out in between is not ideal but at least we won’t have to do much work with him leading into the race,” Begg said. The Blue Sapphire has proven a good form reference for the Coolmore Stud Stakes with Flying Artie completing the double in 2016 while last year’s winner Formality went on to fill third place behind Merchant Navy at Flemington. Begg concedes the Coolmore Stud Stakes will be a different type of race than the one he met on Wednesday. “I don’t know where the horses are going to come from for the race,” Begg said. “A lot of the horses that went to the Caulfield Guineas aren’t going to come back and I’m thinking this year there won’t be that big a field. “Last year was a capacity field and some years it happens that way so let’s hope he’s the fresh horse on the scene. “It would be nice to see him get a sit one day but circumstances haven’t allowed that.